It’s that wonderful time of year again, where a stream of completely subjective lists flood onto the internet and stir up emotions. Well, rest assured dear friends, this is the only list out there that is 100% objective and based upon hours of scientific research. My opinion on video games I enjoyed this year is a seminal piece, and not in the least an arbitrary list of things that one person enjoyed. Let’s start out with the games that I think deserve an honourable mention, but don’t quite make it into the coveted top three. Tom already pointed out in his list that my choices will be bogged down with Nintendo Switch titles, so let’s not disappoint him – 2017 was a great year for Nintendo fans. Mario Kart 8 Deluxe – What a launch year it’s been for the Nintendo Switch. This is one of many ports that benefited from another release on the portable system. Mario Kart 8 Deluxe was one of the strongest Wii U titles, so seeing it improved upon for the Switch was an absolute pleasure. Adding new features, characters and modes, this wasn’t merely a port, it was something to please newcomers and fans alike. Cuphead – If this was on the Switch it would be #1… but in all seriousness, Cuphead, is a brilliant game that will have you smashing plenty of controllers. Insanely difficult, beautiful to look at, great to listen to – this is one of the most original titles in recent years. The only thing holding it back for me was the immense difficulty, which is not great for those with full-on schedules. Saying that, it’s still a fantastic title if you have the patience. Splatoon 2 – Cartoon squids engaging in child warfare, what’s not to love? Splatoon 2 showed that Nintendo are quite capable of creating fun online multiplayer experiences. Colourful, addictive and with plenty of customisation options, this is a must own title on the Switch. Horizon Zero Dawn – A new IP exclusive to the PS4, Horizon Zero Dawn is a beautiful to look at and thought provoking game. For me it was a slow burn to get into, as the gameplay is not easy, but once it all clicks into place it’s the gift that keeps on giving and one of the better games from this year. RUINER – A cyberpunk spin on Hotline Miami style gameplay, RUINER has a great look, feel and a narrative that makes its short run time well worth multiple playthroughs. Player Unknown’s Battlegrounds – This has easily been my most played title of 2017, however it misses out on a top spot due to some noticeable issues. To be honest, I’ve been quite dumbfounded seeing other outlets give this game a 10/10 score. It’s a greet experience and incredibly addictive, but it is far from a perfect (or even finished) title, even after the 1.0 updates. Saying that, I still can’t stop playing it. Mario + Rabbids Kingdom Battle – This had no right to be a good game, but the blend of XCOM style gameplay, Ubisoft’s painful mascots and Nintendo’s flagship characters is a weirdly winning formula. Fun strategic gameplay, great settings and intuitive controls made this one to remember, despite all the odds pointing towards it being a failure. *Drum roll* now let’s get into the juicy stuff. 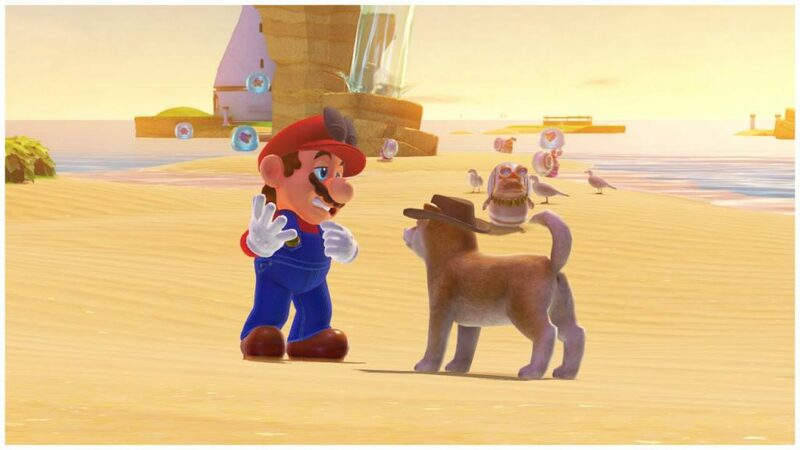 A real return to form for Nintendo, Super Mario Odyssey was compulsive playing, with rich worlds and plenty of nostalgia. The added features that Cappy brings to the formula made for some amazing gameplay, and the game only opens up more once you’ve “complete” it. This is what a modern Mario game should be, it balances innovation with all the old school aspects that fans want in a Super Mario game. Admittedly I wasn’t sold on the game after the first few worlds, but as I got deeper and deeper into it, it quickly stood out as one of the finest titles on the Switch, which is saying something given the stellar launch year the console has had. The pay off at the end – which I won’t go into because of spoilers – is such a great love letter to Mario fans and something that makes this game all the more special. Full disclaimer here, I’m not even close to finishing Persona 5, but even with the incomplete experience it has stood out to me as one of the finest titles of the year. Mixing the best elements of role playing and over the top Japanese style, it’s a compelling game that leaves you wondering where it will take you next. 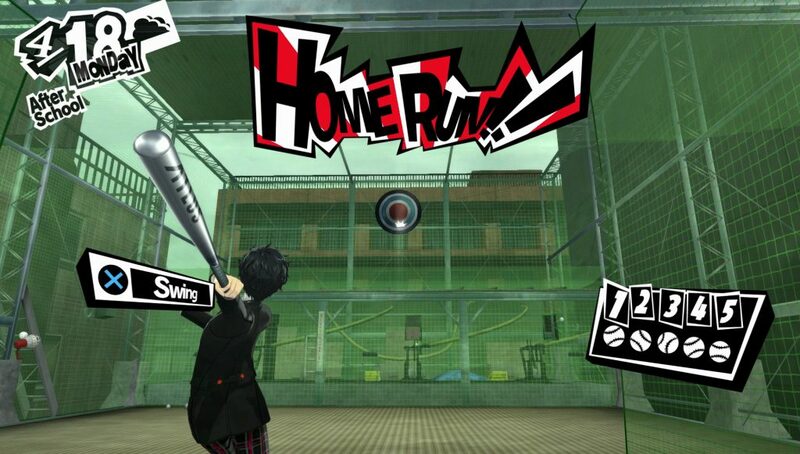 The gameplay is what you’d expect from a JRPG, however the real selling point with Persona 5 is the level of immersion, as you balance living a double life as a weird superhero/troubled school child. Making sure you get a full night’s sleep whilst saving the world is tough work. The beautiful realisation of Tokyo in the game is also fantastic for those that have spent some time in the city, it’s a truly authentic experience… assuming you dropped acid and climbed into people’s brains on your vacation. Just me? Okay. More like breathtaking of the wild, amirite? Nah? Yeah? A little bit? Alright, I’ll shut up. Breath of the Wild is probably one of my favourite games of all time. 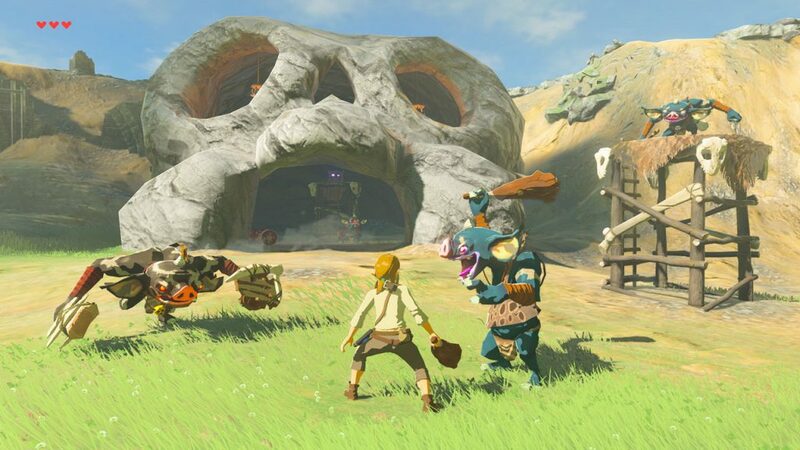 The way it allows you to solve puzzles any way you want within the game’s physics is a revelation, and a complete reinvention of the traditional Zelda formula. Exploring this interpretation of Hyrule never gets old, and the feeling of freedom you have is unparalleled in modern RPGs. To boot, the game has solid DLC that adds plenty of extra time. Saying that, I haven’t stopped playing since it came out in March and I’m still finding new things from the base game. So there you have it, that’s the factual list of best games of the year. Let me know your picks in the comments below! Charlie has plenty more awful opinions on Twitter @clbraith, and don’t forget to follow LoadScreen on Twitter and like us on Facebook.